The first thing you should do is to contact your installing dealer. On average an installing dealers cover the cost of labor and part in the first year of installation. They will go an extra mile to bring you system back to normal functioning. But if you contact anther dealer you will have to pay all cost of labor and parts. 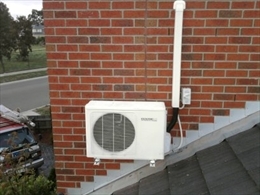 Moreover, they will not feel the same urge to repair a unit that someone else installed. Sometimes we end up losing the contact with dealer. In that case do not panic. There are ways to retrieve it. If you submitted a product registration card to the manufacture, you can get in touch with customer service of your product. The card will have the name of their installer. A new home buyer can also contact the builder who can give you contact of the installer. If you are unable to retrieve through means, look for a sticker on the unit with their contact information. Sometimes it may happen so that the installer who installed your unit might go out of business. Do not panic. Your warranty on parts will be valid as long as licensed worker does the job. Only you have to pay the labor cost out of our pocket. If the problem with parts has surfaced for the first time, know if the parts are on warranty. You contractor will not take the pain of checking that. You will have to do it yourself. Get in touch with customer service of your manufacturer to know it. Produce the model number, serial number, and (ideally) date of installation. Once you know whether your unit is under warranty, tell your contractor. This quite important as otherwise you may have to pay the full cost on the parts that you contractor buy at the wholesale price. Keep receipts, invoices and documentation of repair properly. This is because if the problem is not resolved you may need this to escalate the problem with your manufacturer. Sometimes you may need to take second opinion from a contactor in case you are not sure about the first one. However, before doing so consider certain things. In case the first contractor is your installing dealer, then you may want to wait. You may have coverage on labor and parts. These may become void if you rope in in another contractor. If you feel that your installing dealer is unable to resolve the situation, a better option may be to ask your contractor to contact the manufacturer's technical field representative. His input is very valuable. This input can draw the attention of the manufacturer. However, the wisdom is in being patient. Sometimes HVAC problems are very deep one. It may take some time to diagnose it. 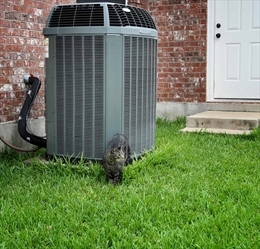 HVACs are made from parts and components from many different manufacturers. It would get resolved with repeated attempts. Try to get a second opinion only when you are paying repeatedly out of pocket for the repair and your contractor is suggesting very expensive repair and replacement. Some contractors will ask for warranty possessing fee. This charge is in addition to the labor costs and is designed to compensate the contractor for the cost of handling the manufacturer's warranty paperwork. This fee isn't standard in the industry and may be negotiable -- especially if you ask about it up-front.